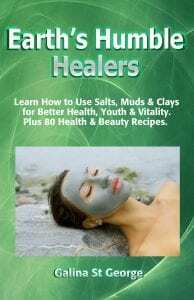 I would like to share with you a very powerful experience which I have have had thanks to magnesium chloride baths taken over a period of time. 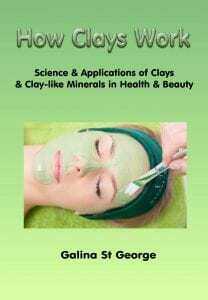 Before I start describing it, I should say that I take magnesium chloride baths regularly, normally using warm but not hot water, and about 300-400g of magnesium chloride flake. It helps me to relax and unwind before bedtime and is great for replenishing magnesium levels and reducing muscle tension. However, this time my body had been aching for some time, especially in the shoulder area and the joints, perhaps due to the physical exhaustion and mental strain I had been under for the past couple of weeks, having to complete a project which took quite a bit of my time, as well as mental and physical energy. I was was going to book myself for a massage, but decided that I would need to relax prior to it, both mentally and physically, in order to get the best results. I became so desperately achy that I needed to use drastic measures. So I used about 1kg of magnesium chloride flake, mixing it in a bathful of very warm, almost hot water. I started with warm water, immersed myself into the bath, adding hot water gradually. I made sure that the bathroom door was left open to get cool fresh air in. The temperature of the water was, of course, tolerable and not uncomfortable, but I really made sure that it was as hot as I could possibly tolerate without experiencing discomfort. As soon as the temperature went down I added more hot water. I stayed in the bath for about 45 minutes. My skin became pink, and I felt a sense of profound relaxation of the body and mind almost instantly. I touched the previously achy parts of the body – the pain was gone. I felt so relaxed after the bath that all I wanted was to go to sleep, which I did. The effects of my fabulous bath lasted for 2 days. Since it took me some time to get to the stage of such tension, I thought that it would require quite a few such baths to get me back to my normal relaxed state again. I continued with my regime for 2 weeks, taking a bath every other day. The improvements in my physical and psychological condition were profound. Besides, the pleasure such baths bring is heavenly and is difficult to describe. I can only suggest trying it in order to experience it for yourself. However, do make sure that you are not ill, feverish, suffering from high blood pressure or heart troubles, not pregnant, or are suffering from tumours or any other medical condition which may make the use of very warm water a contra-indication. You may then wish to use cooler water – closer to body temperature. Magnesium baths are a very pleasant way to replenish magnesium levels in the body through the skin quickly, by-passing digestion. 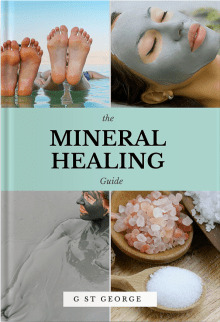 It is an integral part of Transdermal Magnesium Therapy. Always ask your doctor for advice before embarking on any such regime if you have any medical conditions or concerns about your health. 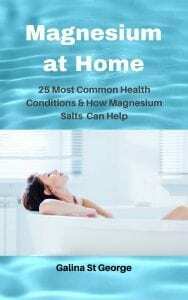 Note: Although magnesium chloride flakes and Epsom salt are the most economical products for magnesium baths, one can of course use magnesium oil if flakes are not available. The amount of magnesium oil would have to be quite high though – about a 1 litre per bath – for best results.